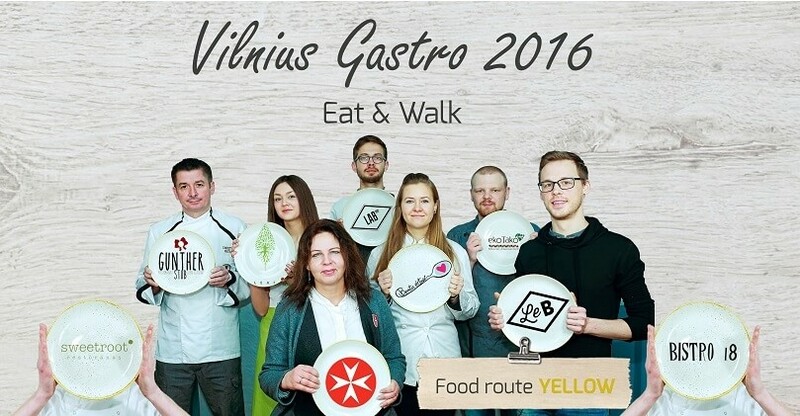 To take part in Vilnius Gastro 2016, first you have to choose between three different routes; Vilnius Gastro YELLOW, GREEN, and RED. They are assembled with a good variety to give you a complete experience among the city’s restaurants. – Place: Tiketa box office next to Vilniaus Kongresų rūmai. Vilniaus g. 6 / 16. – Time: Between 12-19 o’clock on Wednesday and 12-17 o’clock on Thursday. There’s no fee for a restaurant to participate in the event, all you need is to be open for the event’s guests during the evening, and offer a sample of your speciality to the guests with admittance. We recommend you use and promote local products. 1) Can't complain about the amount of food and the quality in general. We tried multiple kinds of food and at the end I was satisfied. The thing is that in this kind of event I would expect restaurants to really show off. Some of them actually did. 2) The team did a great job! You’re the best good luck with further projects! 3) Good event. Interesting to see so different restaurants in one evening"
5) Organization and idea was good.